Office Goodies – Get these and you will be amazing!!!! Mmmmm ok, maybe my title line was a teeny bit of an exaggeration. Sorry! However if like me, you work from home, you will relate to the need for a tidy and inspiring workspace in which to turn out the magic. I know right!! a brass pencil / pen holder. What’s not to love about this from Ferm Living. So many pots to stash things and brass too, enough to make any desk look stylish……swoon!! Ok! so we have a pen holder what about something to write with!!!! I am a big fan of Typo, they have some really cool bits and pieces at really reasonable prices, including these pencils. Each has a little gold message on the side, mine favourite is ‘Sassy, since the day I was born’. Kate Spade, I wish you were my BFF. I truly adore Kate Spade’s pieces. They are fun, quirky and more importantly so colourful. Her pens are no exception, this colour combo is my fav. Available from Papier D’Amour. These bright notebooks from Papier D’Amour (those guys just always know what we want) will help keep your thoughts and lists in order. Now I know there are a gazillion apps for that very purpose, but admit it, these are much nicer to look at!!!! The seems to be a real thang at the moment for marble. So here is my contribution. 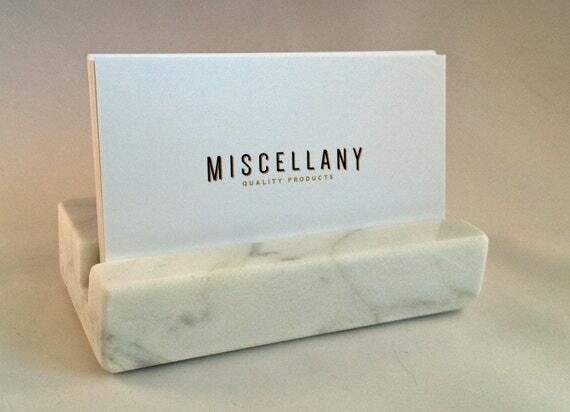 This business card holder is by Miscellany Online (Etsy Shop) and can be made to order. Other marbles are available. Such a simple but stylish design. A real winner. 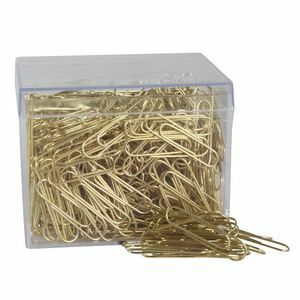 These are from Officeworks, about the only place I could find gold coloured paperclips. There you go just a few little bits to tickle your fancy and add a little pizzaz to your work space. Now I have been sidetracked with sourcing these, you should have no more distractions. So get on with your work!!!! ‹ PreviousBecause you can never have enough odds and ends. Those Typo pencils are super cute! Yes they are, Typo is pretty good value too which is always a good thing.